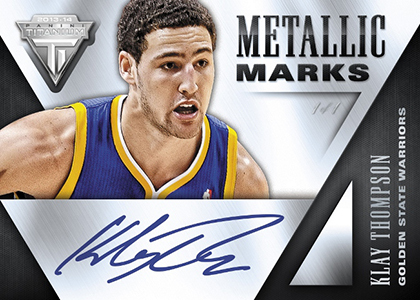 After making its mark on the ice, 2013-14 Panini Titanium Basketball marks the brand's first time on the hardcourt. 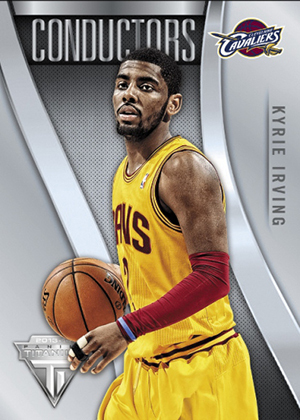 The main draws are a hit in every pack, a metallic design and rare numbered rookies. 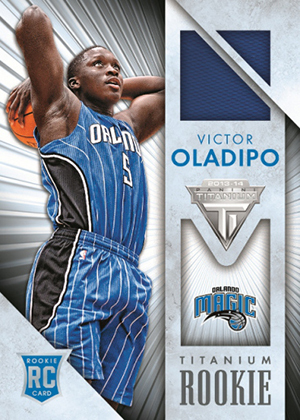 2013-14 Panini Titanium Basketball hobby boxes come with five packs. Within these are a pair of autographs and three memorabilia cards. Autographs fall under several banners. 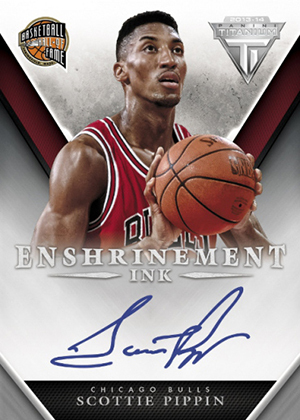 Reserve Signatures centers on both active and retired players. These, along with Metallic Marks, are signed on-card. 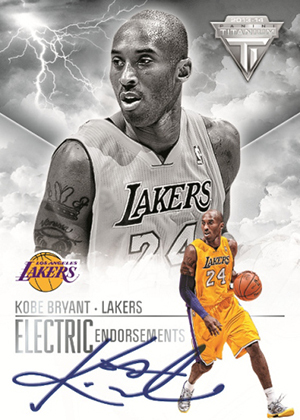 Enshrinement Ink is all about Hall of Famers while Electric Endorsements focuses on big-time superstars. 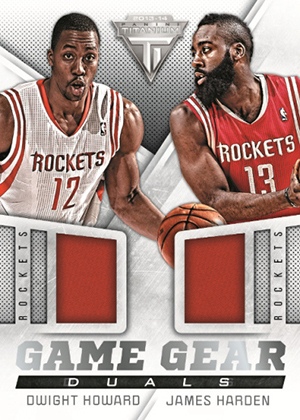 Memorabilia sets include Game Gear Duals, Titanic Threads Jumbo and Double-Double Jerseys. There is also has a handful of basic insert sets, all numbered to 199 or less: Atomic Numbers, Conductors, Luster and Strength. Going with its hockey roots, rookies come with some low numbering. 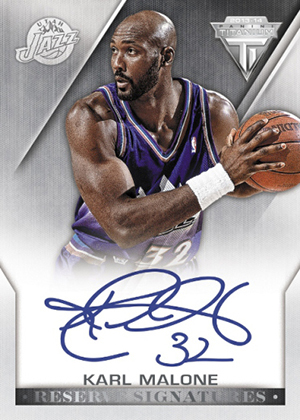 Collectors can find cards numbered to their jersey number, draft year and draft position. 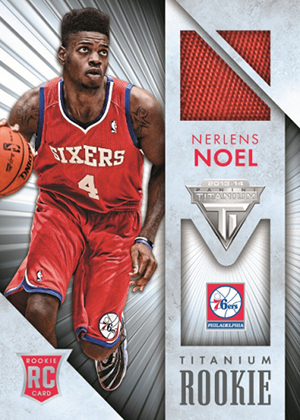 Every card in the product has a one-of-one Platinum parallel. 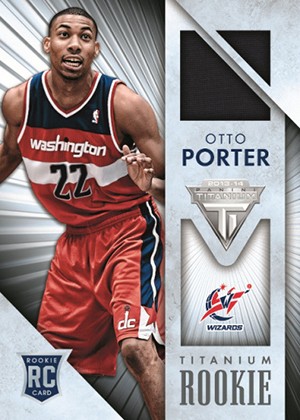 2013-14 Panini Titanium Basketball comes with a separate retail configuration. 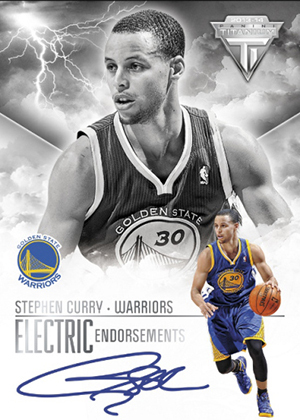 These boxes come with just one five-card pack and include two exclusive Rookie Memorabilia cards. They also have an exclusive set of parallels numbered to 330. 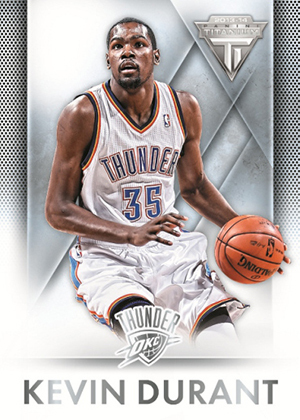 Reminds me a lot like Prizm, perhaps Panini can improve on this to give it a different market niche. 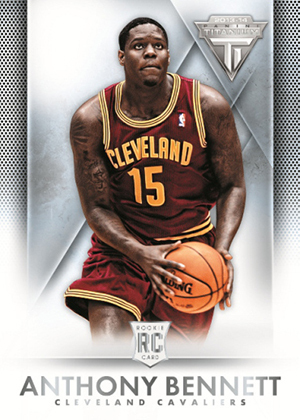 Inserts should be different from base cards or else it would just be a subset. Perhaps they could include Players who have like 10 years of playing careers for Iron Men set. Or Players in the top scoring all time. 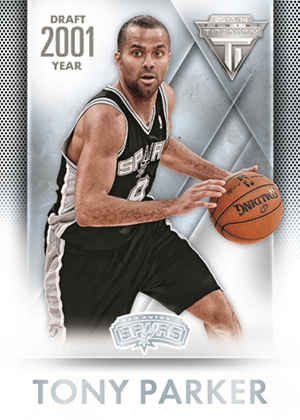 Autos should be on card especially for retired players. Metallic Marks looks like on the right path. Boring and listless. No depth or dimension. Flap � I said it’s like Prizm? Where? I am pretty happy with my purchase! 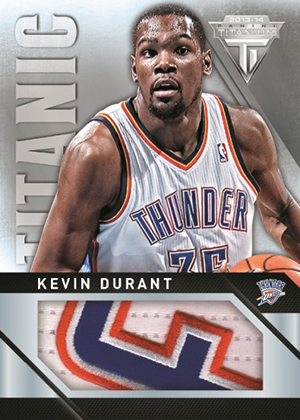 I like the think cards and the jersey patches look awesome. Lots of inserts, perhaps a few too many but overall a delight to open! My hobby box was very generous!! I very happy with my purchase love the cards I got will buy again. So the base cards look a bit bland. 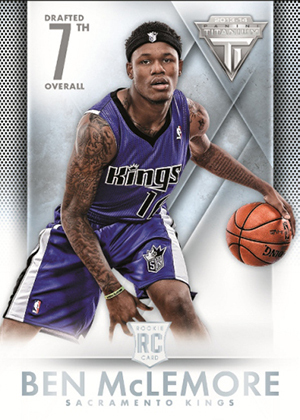 IMO, they are definitely not worse than other base card designs at this price point (roughly $10-13/pack). The autos and memorabilia cards have definitely not disappointed me. 2013 14 Panini Titanium Hobby Box Factory Sealed Basketball GIANNIS RC?